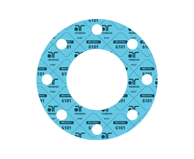 Thomson MultiPac™ is a premium compressed sheet family with a variety of fibres and binders available to suit all of your specific application needs. 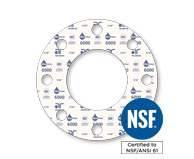 NSF/ANSI 61 Certified for potable water. Typical Service: Municipal waterworks, water treatment, food and beverages. 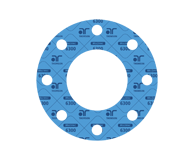 Premium General Service sheet – flexible and easy to cut with good all-around performance. 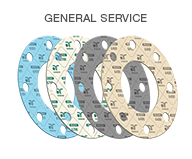 Typical Service: General service such as saturated steam, hot water and petroleum-based fluids. Premium compressed sheet with neoprene binder – good handleability and dielectric strength. Typical Service: Refridgerants, fuels, oils and low pressure steam. Excellent sealability and good handleability. Typical Service: Inert gases such as helium, nitrogen, and argon. Superior temperature capability and good handleability. Fire Safe – Passes DVGW VP-401 Fire Safe Test. 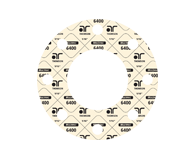 Typical Service: Hot water, oils, saturated steam and most refridgerants. 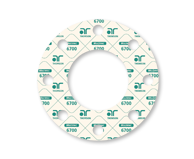 Premium compressed sheet with EPDM binder – superior resistance to caustic, hot water and steam. Typical Service: Hot water, saturated steam and mild caustics.